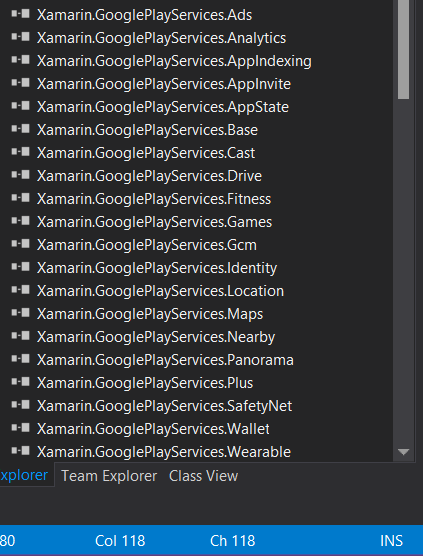 What is a safe way to remove References from your Xamarin Android Project? For instance I have Google Play Services Package 25.0 installed, but as you can see there are too many References I'm not using in my project, however they are still in there and occupy memory. 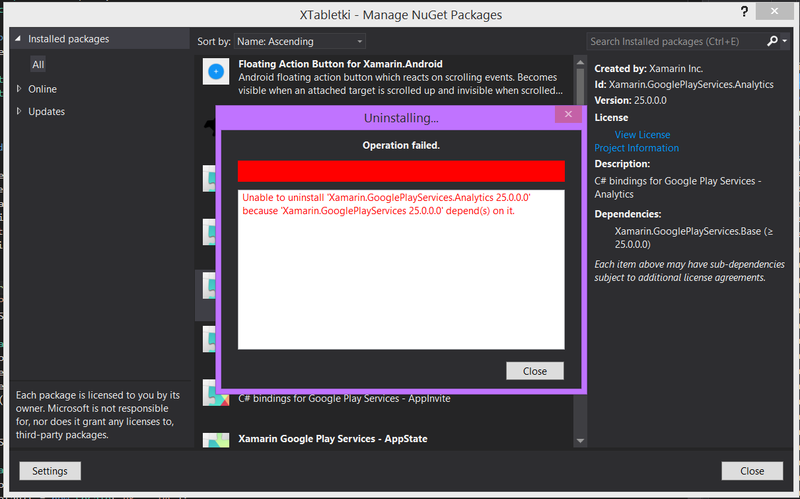 NuGet package manager doesn't let me remove them. What's the solution of the problem? You cannot remove these assemblies references because they have dependencies each others. beside this your concern is valid but when you deploy your app to production then these unused assemblies automatically remove by Linker.